The rapid spread of fire can happen in seconds, and even once it’s extinguished, devastating damage can be left behind. 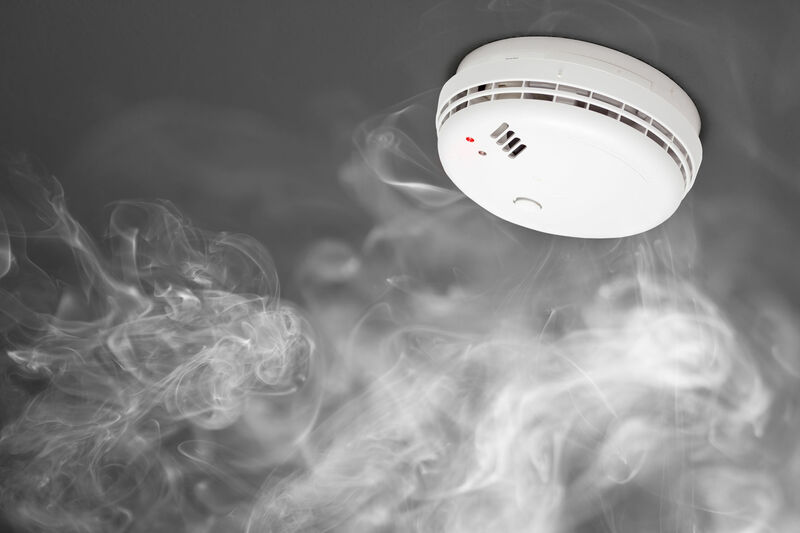 Following these tips on how to clean smoke damage will help you get a start on making your home live-able again after a fire. It is important to understand how severe the damage is before you attempt to clean it yourself. Trying to clean serious smoke damage can possibly cause further, more extensive damage. If you are unsure how severe the damage is, be sure to contact a professional. 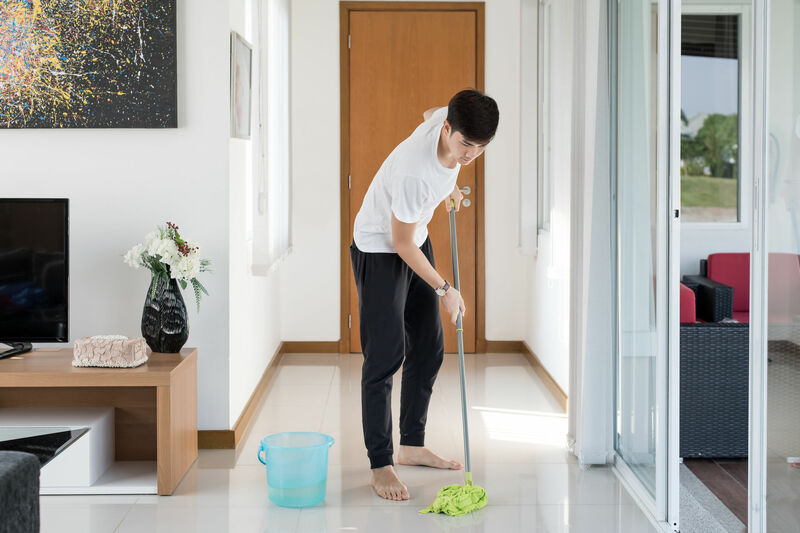 If you choose to clean on your own, make sure you’ve prepared yourself physically for this type of work. 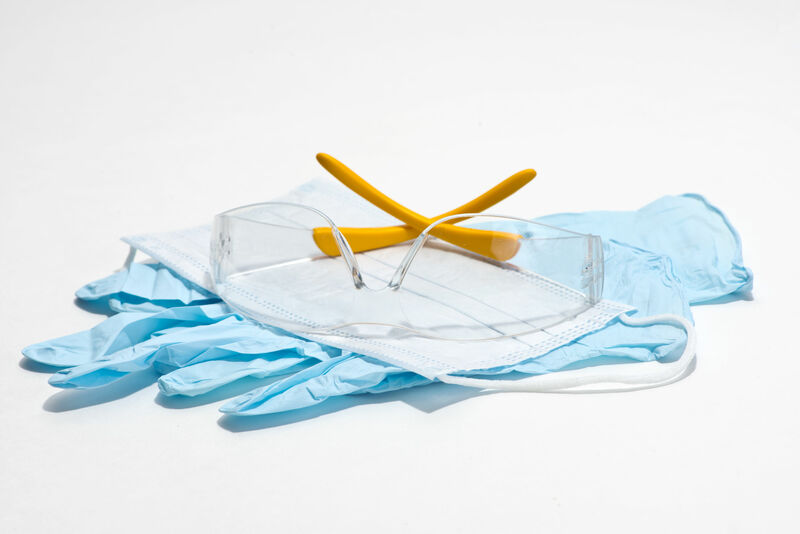 Heavy-duty gloves and plastic glasses are essential. Protective respiratory wear is also strongly recommended, as exposure to soot residue can cause breathing and lung problems. 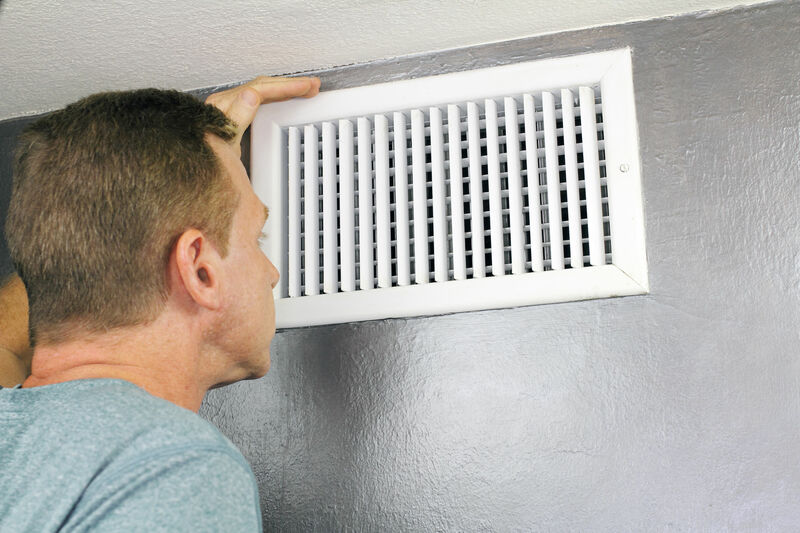 To prevent soot from rapidly spreading, shut off your air conditioning system. Utilize box fans by facing them towards open windows to direct polluted air outside. 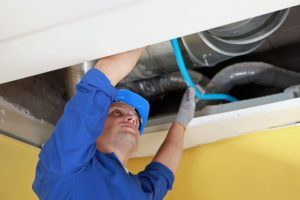 Getting rid of contaminated air is an important step for cleaning smoke damage and reinstating a healthy home environment. Dry removal of soot is your best option for safely cleaning walls and furniture. Use a professional dry cleaning sponge, especially on walls with a flat finish paint. 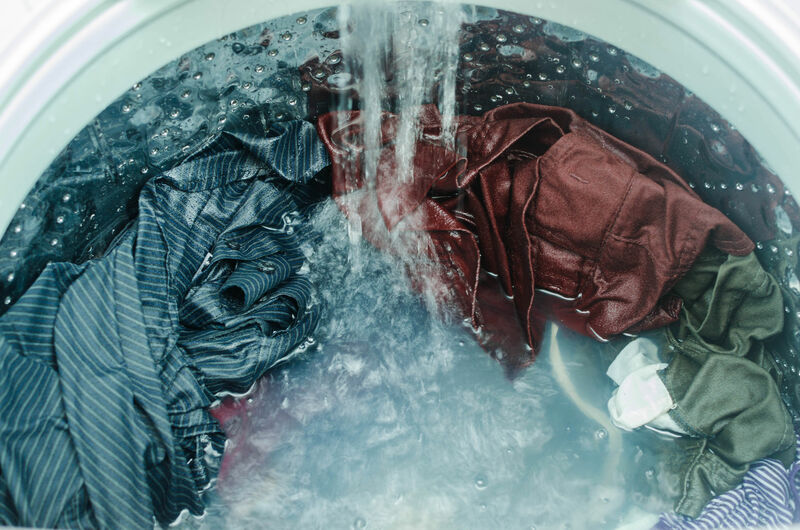 You may use water and a mild detergent, but only on durable surfaces that are non-porous, such as glossy paint, fixtures, and sealed wooden surfaces. Clean metal fixtures first, as they may rust quickly from exposure to acidic soot residue. If you choose to use a vacuum make sure it has a HEPA rated filter bag. Always clean high surfaces first and work your way down. Wash all bedding, clothes, curtains, and anything else affected by the smoke damage. 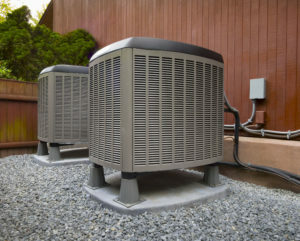 Utilizing alkaline agents in this process often neutralizes the acid found in the soot. 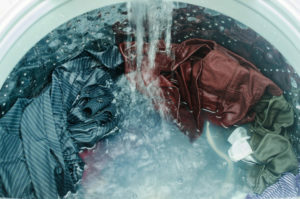 Make sure to dry clean fine materials. Cleaning smoke damage needs to be addressed outside your home as well. 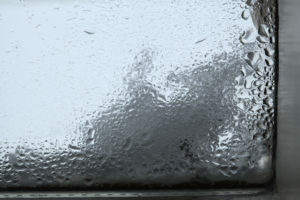 Soot on your exterior walls commonly clings tighter to surfaces than inside your home. 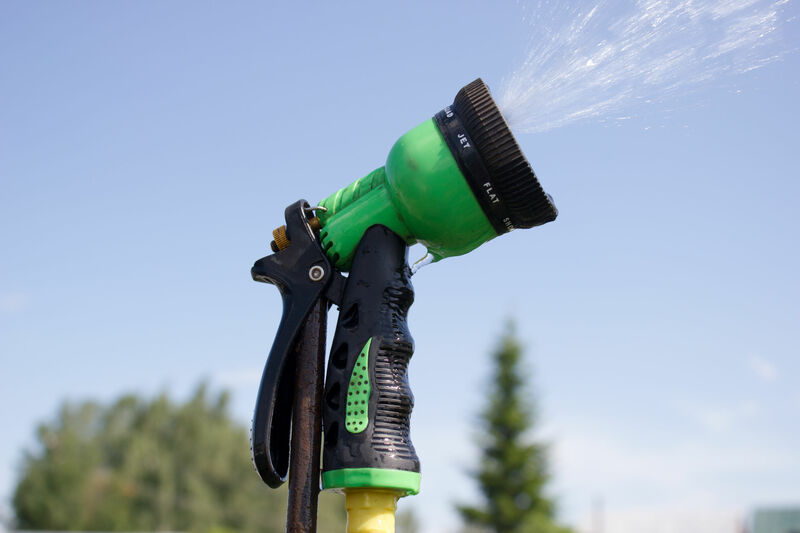 Be sure to use a hose with an attachment that is able to shoot a high-powered water stream. 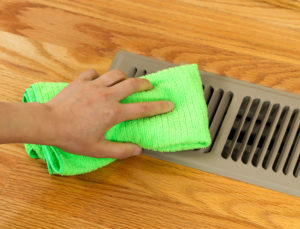 This will help you effectively remove soot and dirt from the walls. 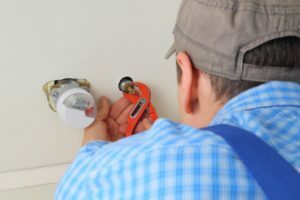 Learning how to clean smoke damage is no easy feat, and it can be hard to know where to begin your road to restoration. Bishop Clean Care can help you through this process by ensuring your home reaches a full recovery. Learn more about Bishop Clean Care fire and smoke damage services and start a plan to repair your home today. It is possible that the physical structure of your home got damaged from the flooding. 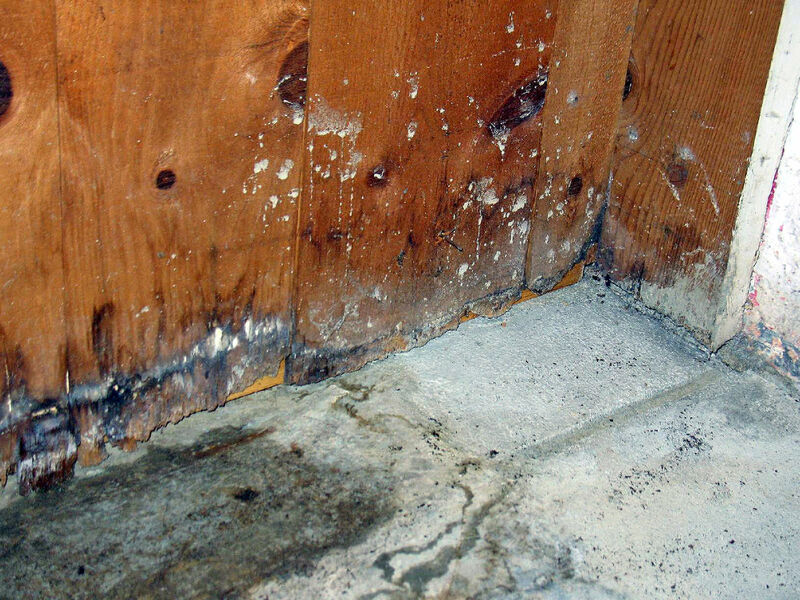 Look for any damage, such as warping or a cracked foundation. This is necessary in order to ensure that your house is safe for you to enter. 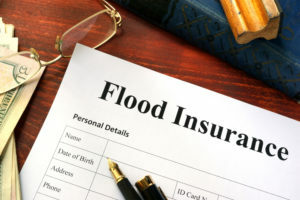 One of the most important things you should do if your home floods is document the damage. 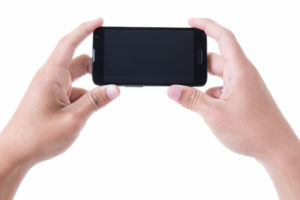 You can do so by taking digital pictures and writing down details about specific items that were damaged. The next step is to contact your insurance company and notify them of the damage. It’s important to know that you shouldn’t wait for the insurance agent to come out to your home to begin cleanup. That’s what you take pictures. Your job is to protect your home and your belongings to the best of your abilty. Once you have determined your home is safe to enter, it is finally time to start cleaning up the damage. You can find a sump pump to remove the water at most hardware stores for $150 to $500. You can also use a wet vac, which is available for $40 to $130. Open any doors and windows in order to encourage air circulation. Also, turn on ceiling fans to help circulate the air. Safe guarding your house and your possessions is a top priority. 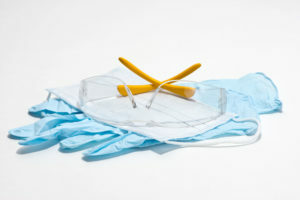 Should the water and cleanup be too much for a DIY job, contact a professional cleaning company as soon as possible. Every second counts when it comes to saving the items in your home from flooding. Remember to take precautions: The water can be contaminated with chemicals or sewage so you should protect yourself by wearing rubber boots and waterproof gloves. 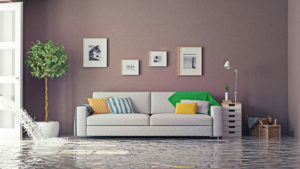 Flooding leaves you at risk for excessive mold and bacteria growth and requires special cleaning procedures you may not be equipped to handle. 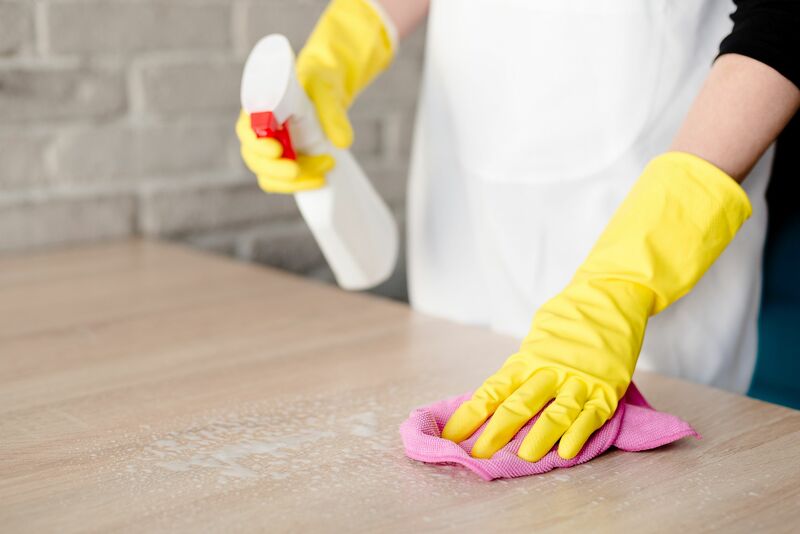 Call your local professional cleaning company, like Bishop Clean Care, to assist in cleaning your home. 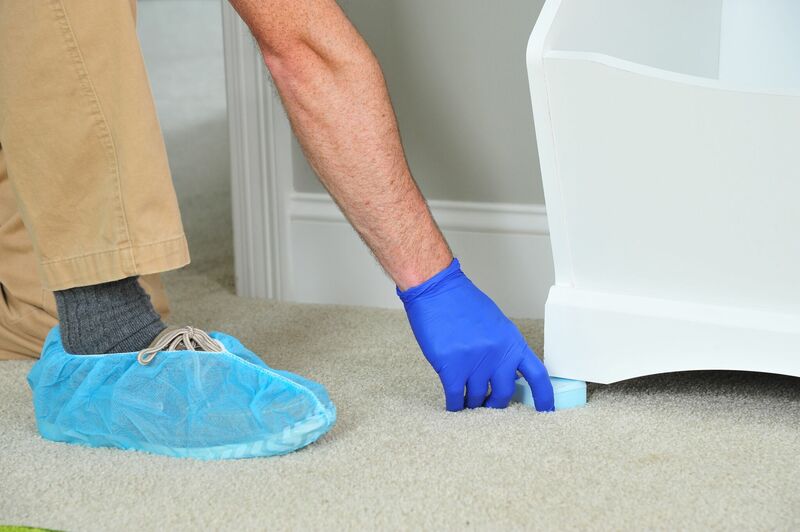 Professional cleaning companies are trained to help work with your insurance company and the claim process. There are many unpleasant results of flooding in your home. Follow these five things you should do if your home floods to get your house back to normal! When a large area is affected by flooding, it is often deemed a disaster area by the government. If your region has been declared a disaster area, you qualify for access to more resources and, in some cases, financial assistance. Your insurance company should have information regarding your region’s status. You can also contact FEMA directly for information. We have had an unusually warm winter. 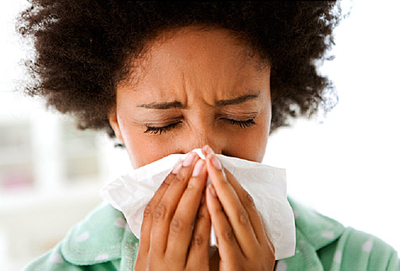 We are not complaining about the temperature but the early arrival of pollen is most unwelcome! The nice weather might have sparked your spring cleaning fire a little early this year. 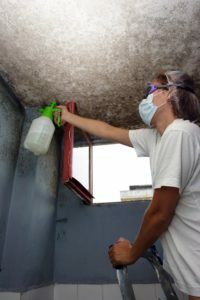 As you are weeding out your closets and washing windows, consider adding these allergy fighting tasks to your list or better yet…have us do it for you! Duct Cleaning- On a daily basis contaminants and air pollutants are created and pulled into your HVAC system 5 to7 times per day. If not cleaned periodically, they can cause build up and can harbor contaminants that could cause serious problems for people with respiratory health conditions, autoimmune disorders and environmental allergies. Adding a duct cleaning to your spring cleaning list could help you and your family breathe easier the rest of the year. Carpet Cleaning- We live our lives running in and out of the house. Within the chaos, we track in many pollutants and allergens along with dirt. 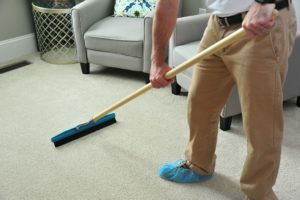 According to the American Lung Association, if members of your household suffer from conditions that can affect their breathing, such as snoring or asthma, it’s especially crucial that you vacuum your carpets at least three times a week. 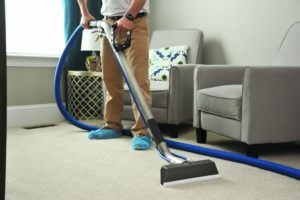 Routine vacuuming can help tremendously, but a professional cleaning removes trapped stains and kills bacteria with special detergents and high-powered vacuums. Don’t just clean the surface. 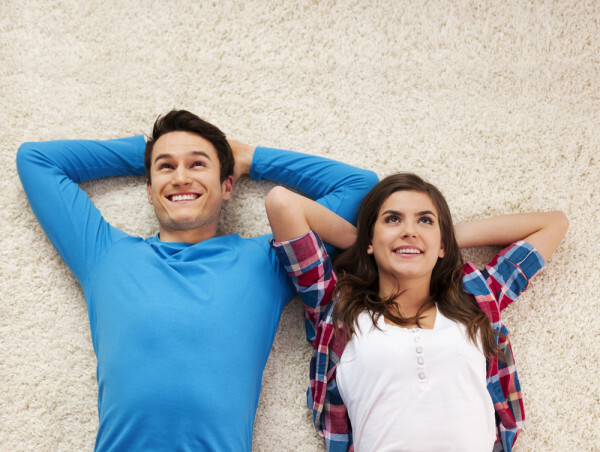 You need to get to the root of the carpet to improve the air quality in your home. Give us a call for a free estimate or schedule a cleaning tailored to your home. Water is powerful and can be harmful when it ends up in unwanted places such as our homes. There are necessary actions that need to be taken to recover what has been damaged and to prevent further damage in the future. 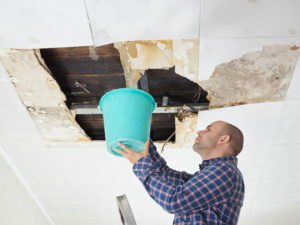 Here are five tips for dealing with water damage. 1. Stop the flow of water immediately. Locate the source of water leakage and attempt to stop the flow coming into your home. 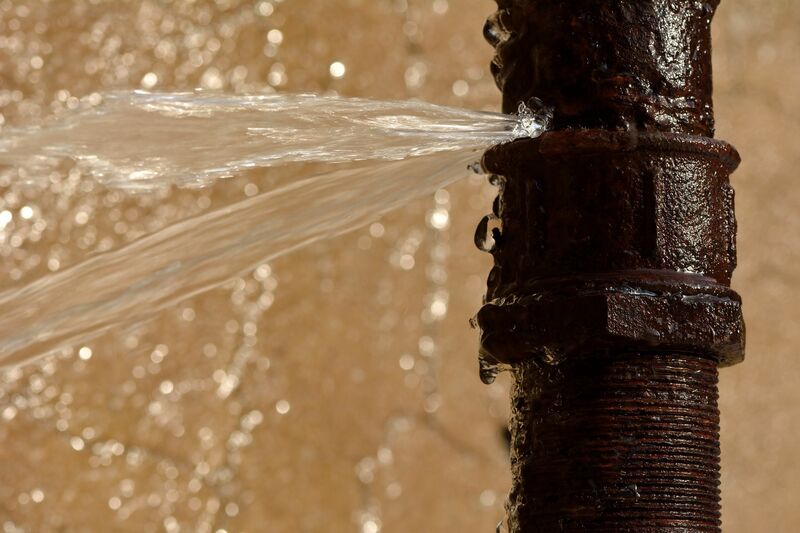 If the damage has been caused by a burst pipe or heater failure, the main water line needs to be shut off. 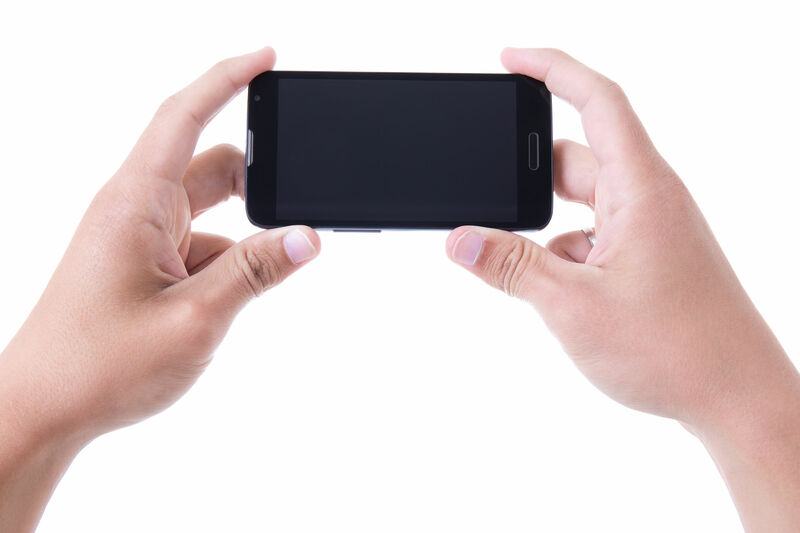 If you have trouble locating the source, contact an expert. 2. Take photos of the damage as you found it. Taking pictures of the water damage will be beneficial not only when professional help arrives, but also when filing your insurance claim. 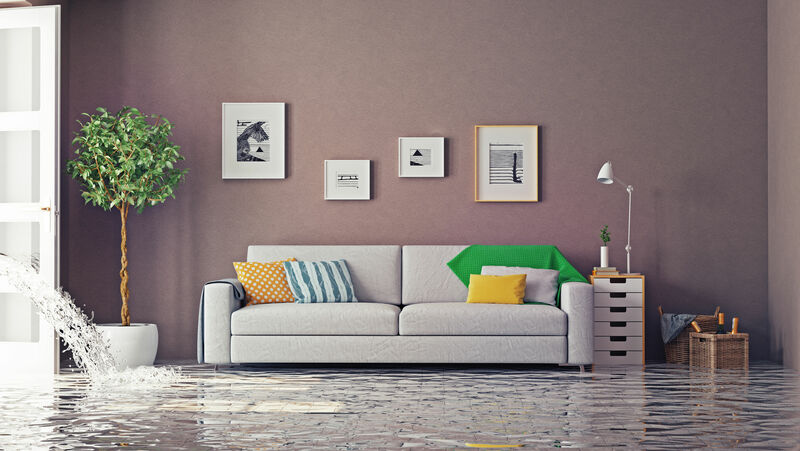 When dealing with water damage, having a visual of the initial damage that occurred in your home will be easier than explaining it. 3. Turn off all power. It’s a well-known fact that electricity and water are not a good combination. 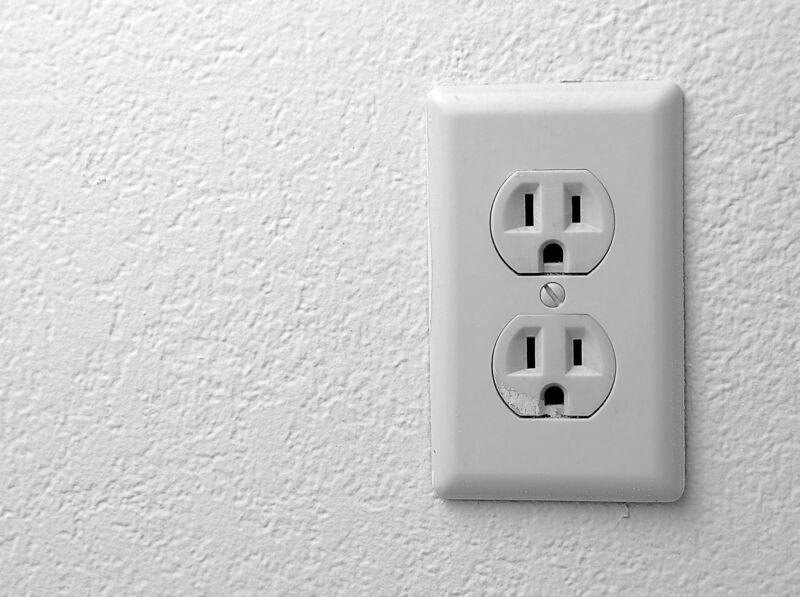 Turn off electricity and gas from their main sources. Do not take on this job without being properly insulated yourself. 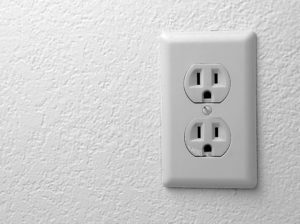 If you need to stand in the water to turn off the electricity, refrain and contact an electrician. 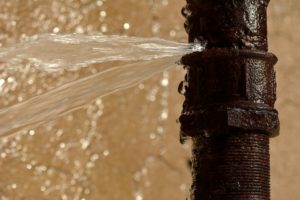 Doing this is not as important for small leaks, but when you encounter the unfortunate event of a larger in-home flood, it’s best to take all precautions when dealing with water damage. Once you’ve taken the above steps, do not let the water stand. 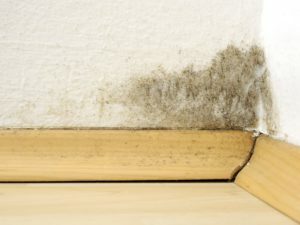 The more time water has to set into walls, carpet, furniture, etc., the more damage it can cause. 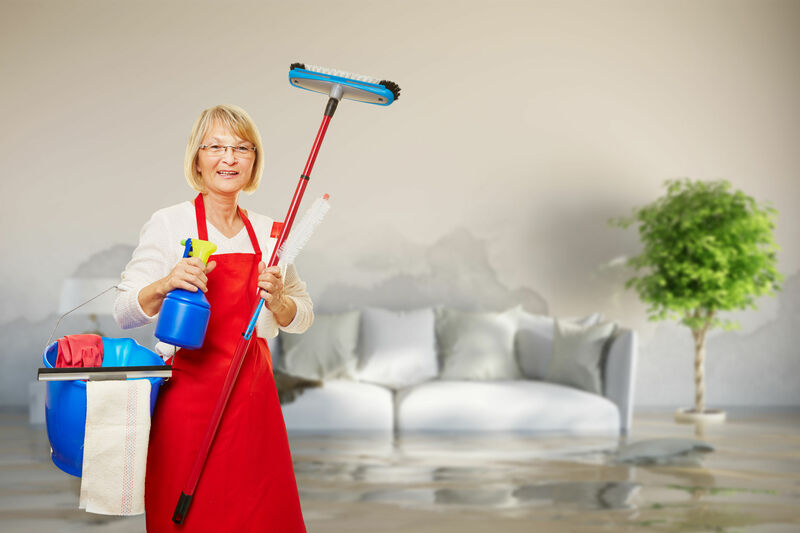 Dry out any affected areas by first mopping, then utilizing a fan, dehumidifier, or open windows to allow for air circulation. The quicker you dry the water, the less chance you leave for mold growth. 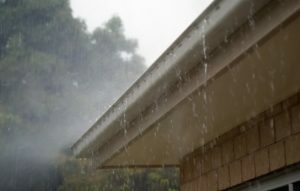 You don’t want water damage to leave long-term effects on your home. It takes a very minimal amount of water for mold to accumulate and become harmful. Disinfecting after the water is cleared is essential to avoid any mold and mildew buildup from the water. Steam clean any carpet and flooring, sanitize walls and baseboards, and check your furniture. 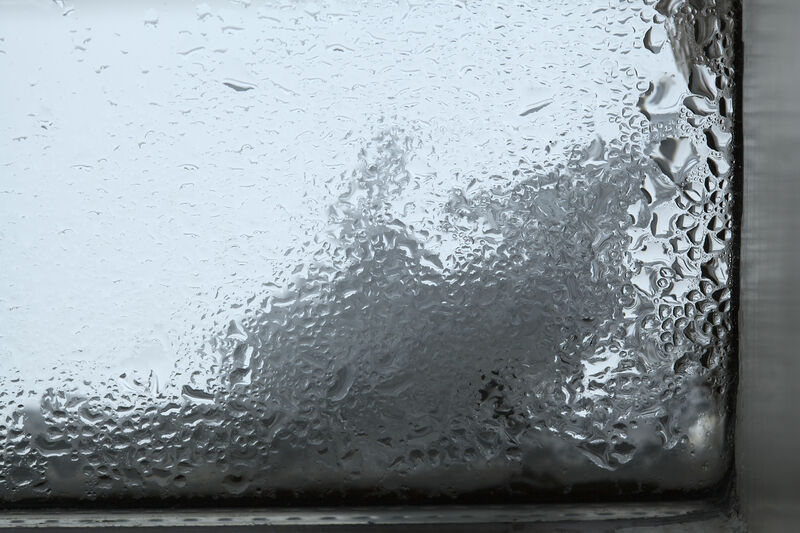 There’s only so much you can do when water damage strikes, and it can be scary to handle alone. That’s why experts are eager to assist you when dealing with water damage. Bishop Clean Care will not only help you recover, but also work to prevent water damage from happening again. 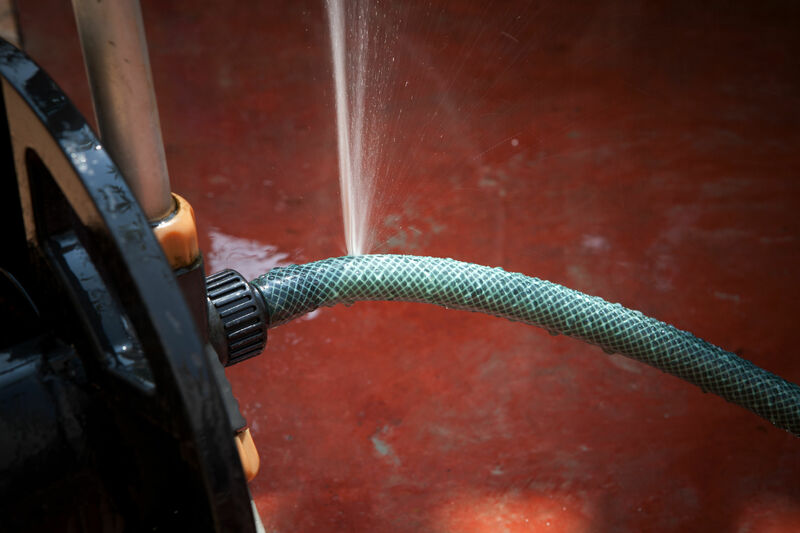 Learn more about Bishop Clean Care water damage services and start a plan to repair your home today.